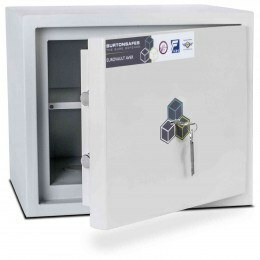 The small 12 litre capacity Securikey Euro Vault SFEV-GS-TZE Wardrobe Security Safe with a unique drawer opening for ease of use on a wardrobe shelf where space is limited for opening doors. 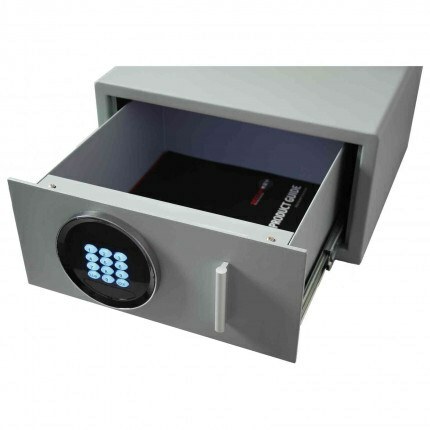 In addition it is much easier to view the contents and organise your cash and valuables when viewing the contents from above, especially with the automatic internal light. 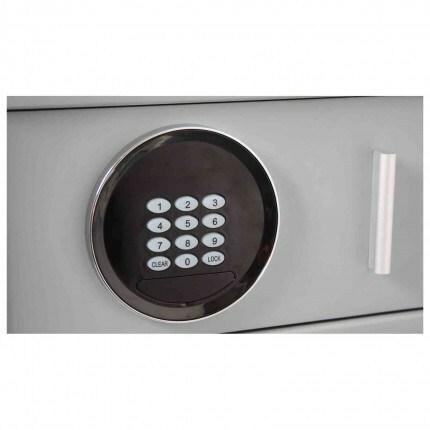 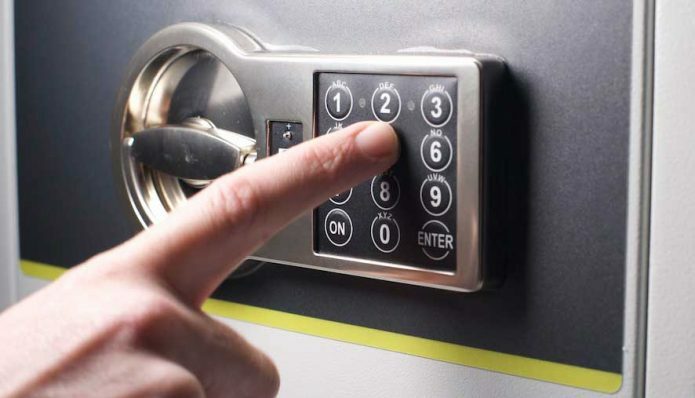 The Securikey Euro Vault SFEV-DR12-TZE Electronic Wardrobe Safe has a recommended cash rating of £1500 and is supplied with an electronic digital motorised lock. 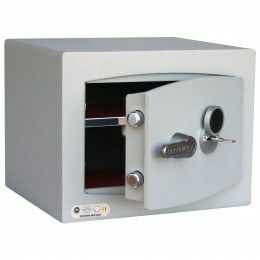 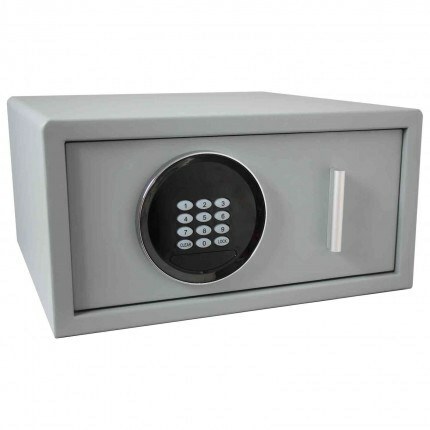 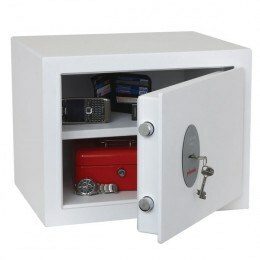 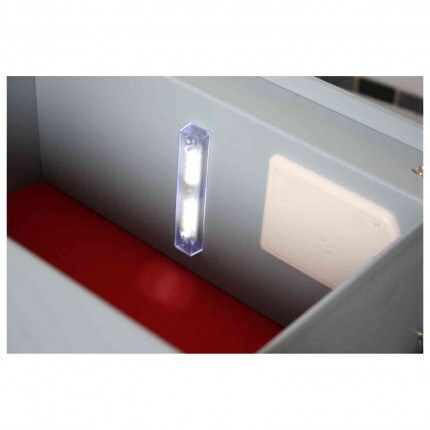 The unique feature of the small Securikey Euro Vault SFEV-DR12-TZE Digital is the drawer access as opposed to a traditional hinged door so it is ideally secured on a wardrobe shelf or any confined area where viewing the contents from above is easier than front on, particularly if the safe is positioned lower than waist high. 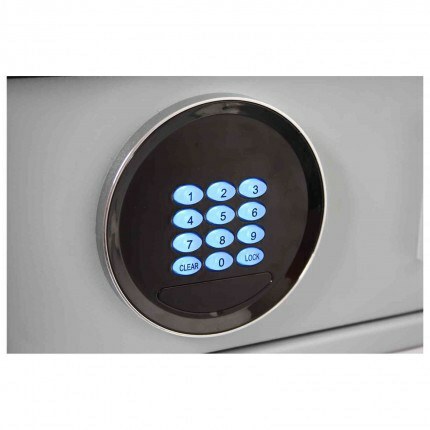 It has a recommended cash rating of £1500 and is supplied with an electronic digital motorised lock.